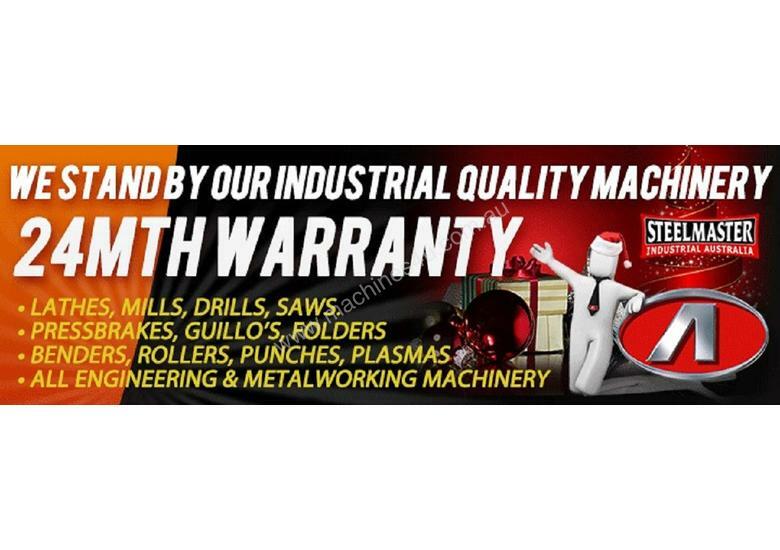 When looking for a quality mandrel tube & pipe bender, look no further than Steelmaster Industrial. 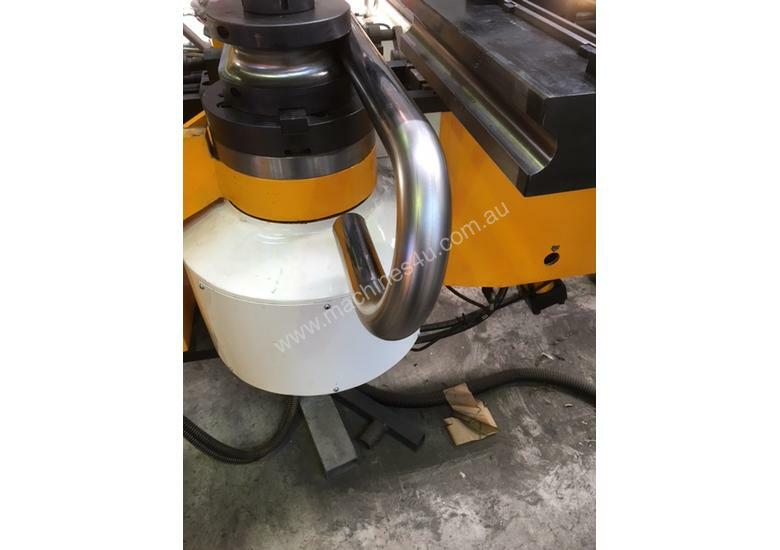 Steelmaster Industrial’s mandrel tube & pipe bending machines offer the fabricator a very high quality machine with superb features and tight tolerances at reasonable prices. 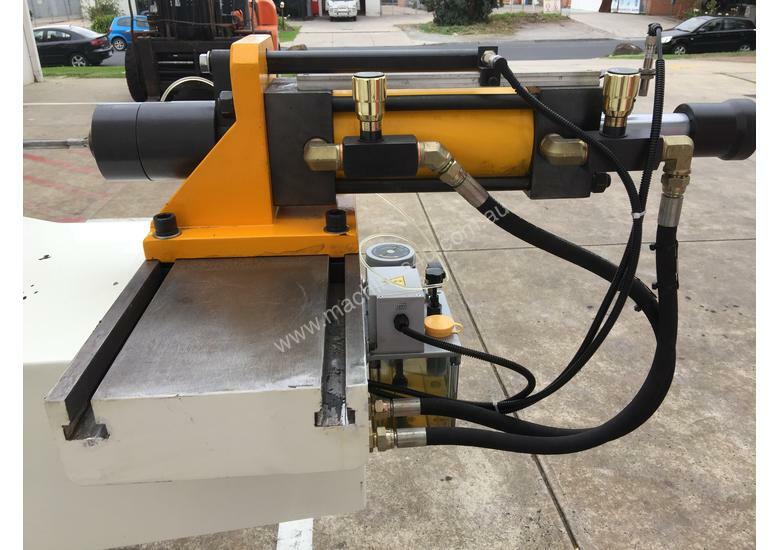 Steelmaster offers over 30 models of mandrel tube & pipe bending machines with a selection on display and others available for prompt quick shipments. 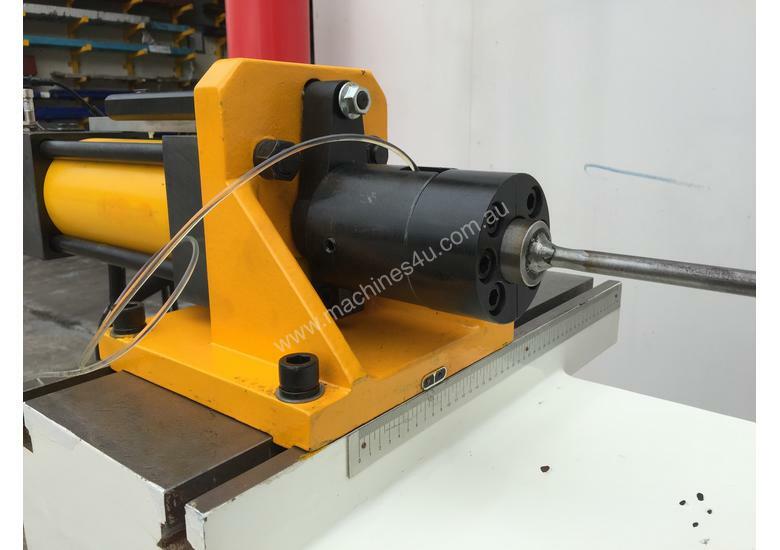 Our mandrel bender capacities range from 18mm ~ 325mm in diameter. 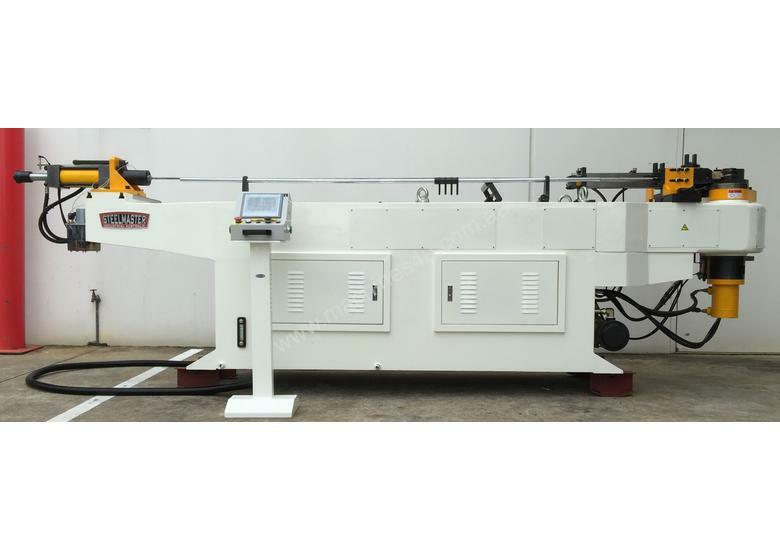 Steelmaster Industrial’s ever growing line of mandrel tube & pipe bending machines consists of simple NC1 programmable models, 2D CNC2 Models & 3D CNC3 models along with a large range of tooling & accessories. 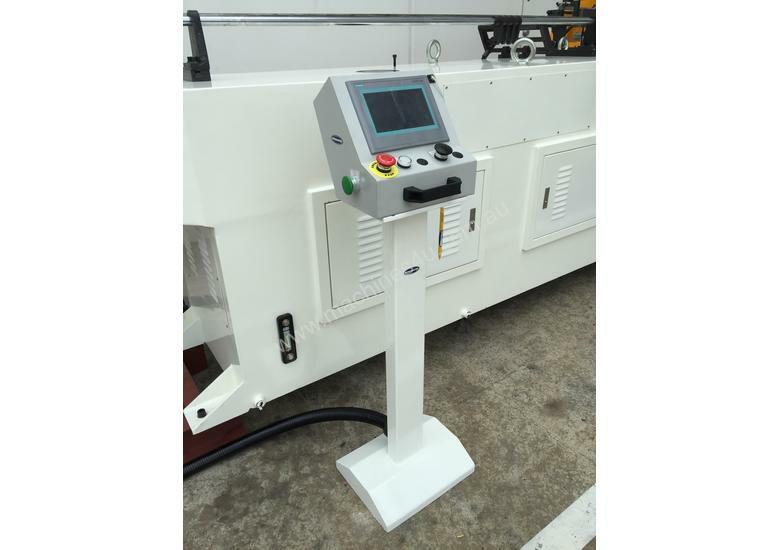 Depending on your needs we have the machine for you, starting with our cost effective NC programmable models. 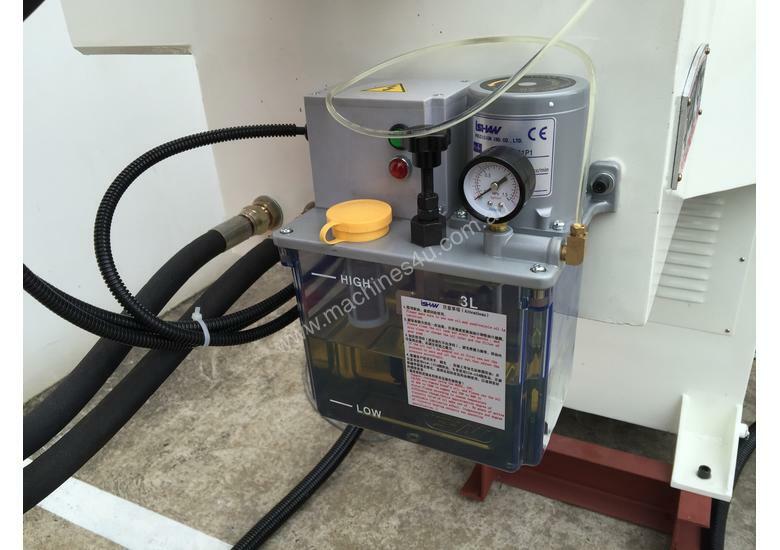 NC1 Programmable with NC PLC controller. 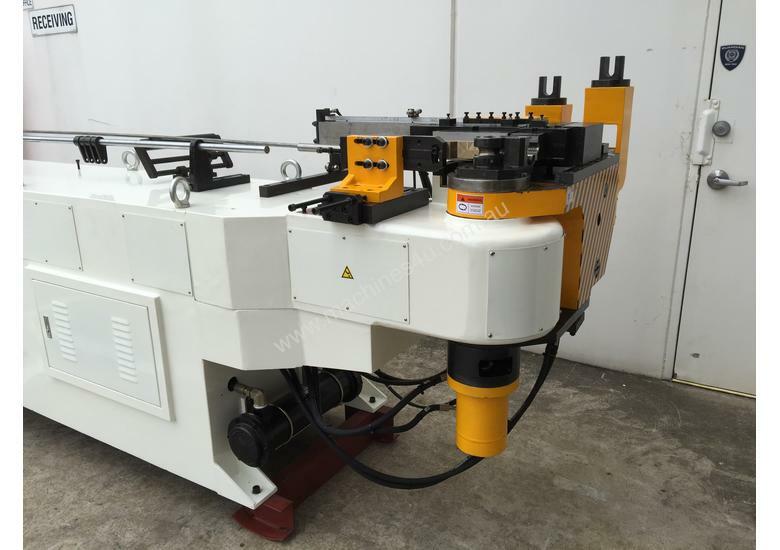 Manual length setting & rotation, PLC programmable angle bend setting. 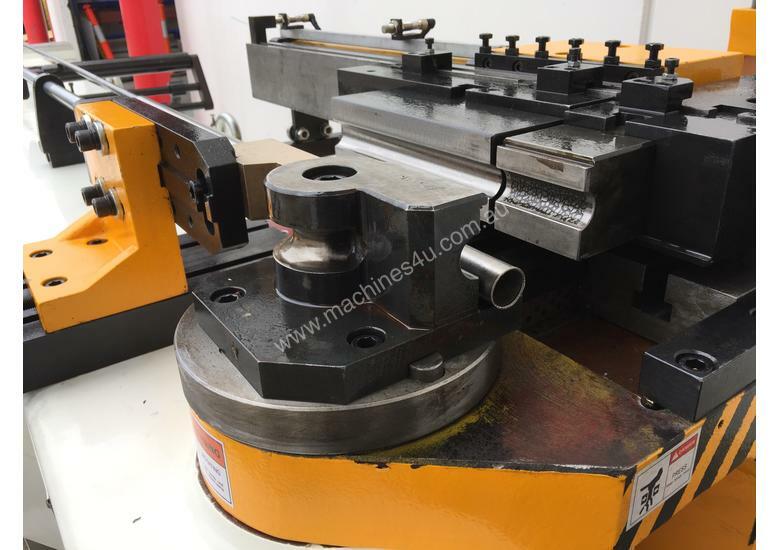 One full set of tooling supplied with each model and material type, outside diameter, wall thickness & centre line dimension must be supplied. 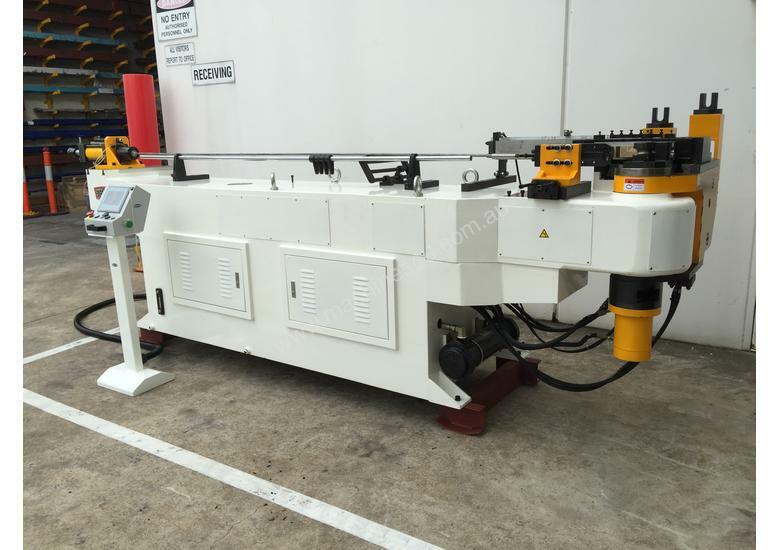 Longer machines can also be supplied if you material length is required. 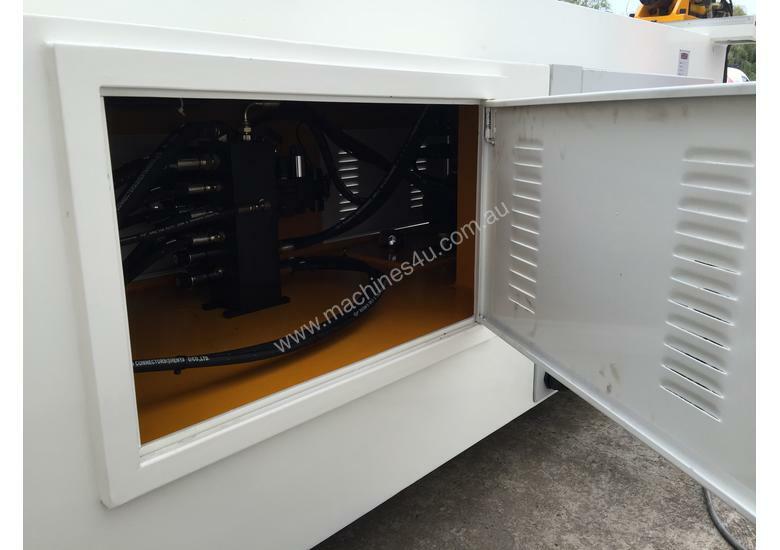 2 Dimensional CNC Control with Mitsubishi CNC operating system, however the length measurement is set manually. 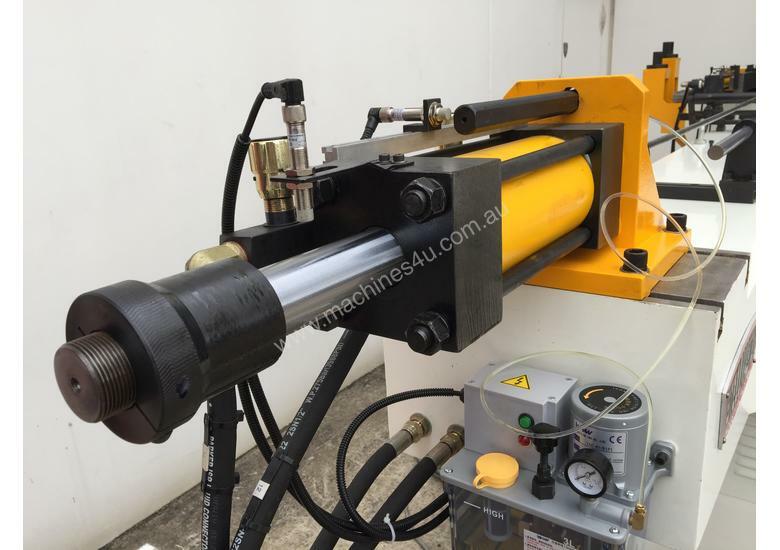 Accurate and clear linear length stop precision guides are fitted along with cross slide adjustment. 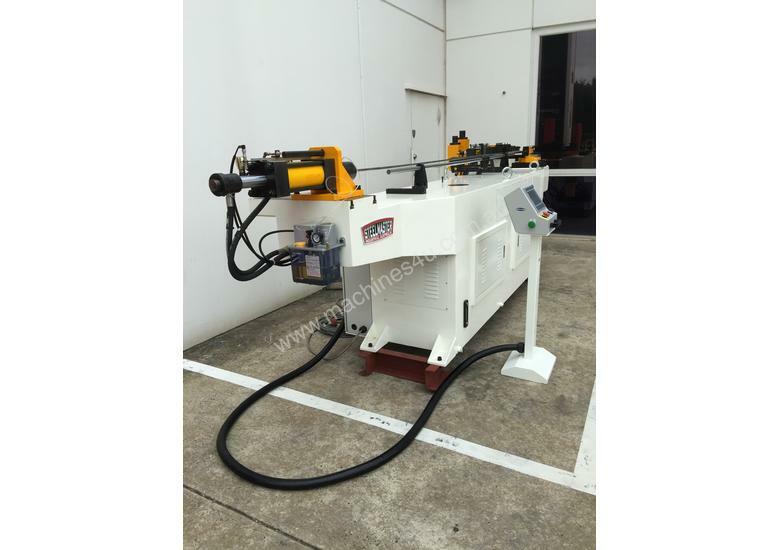 We offer both Mitsubishi Servo Drive Control on the rotation and also bending however on the larger models hydraulic operation on the angle bending offers more power - Servo bending on the smaller models is preferred for faster operation. 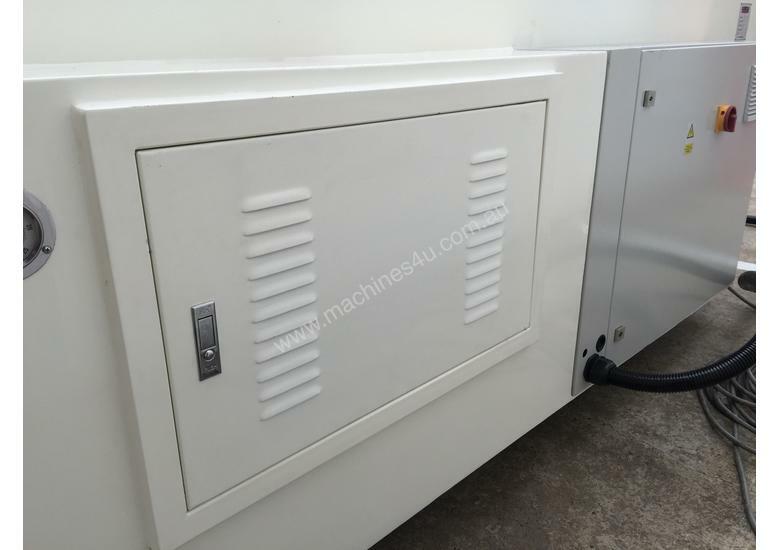 Same as our CNC2 but has Mitsubishi servo length controller added. 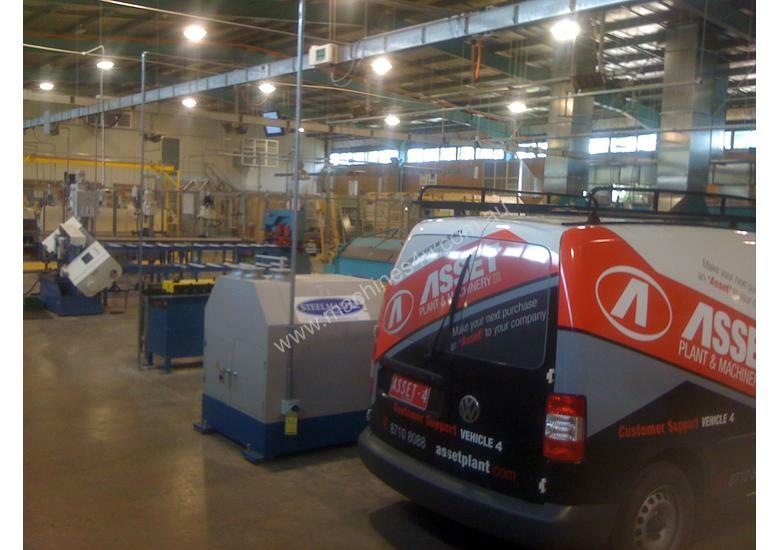 As mentioned, we can offer longer machine lengths due to longer material requirements. 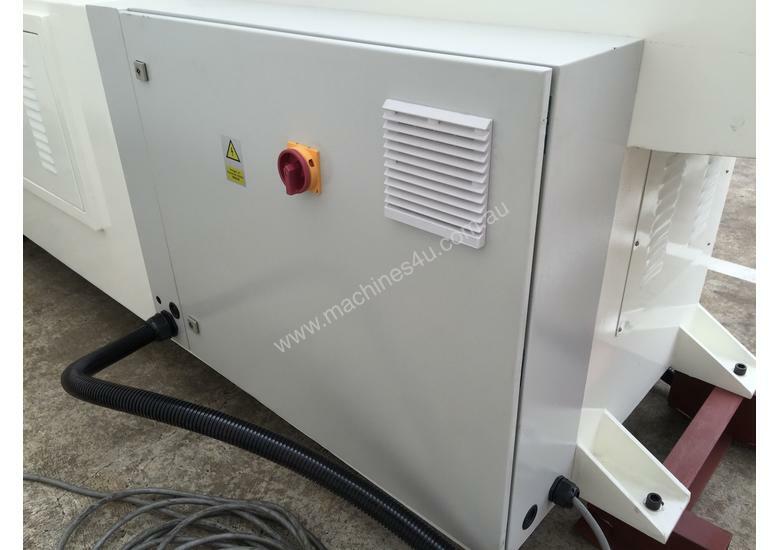 We suggest up to 28mm capacity machines operate bending via servo due to speed. 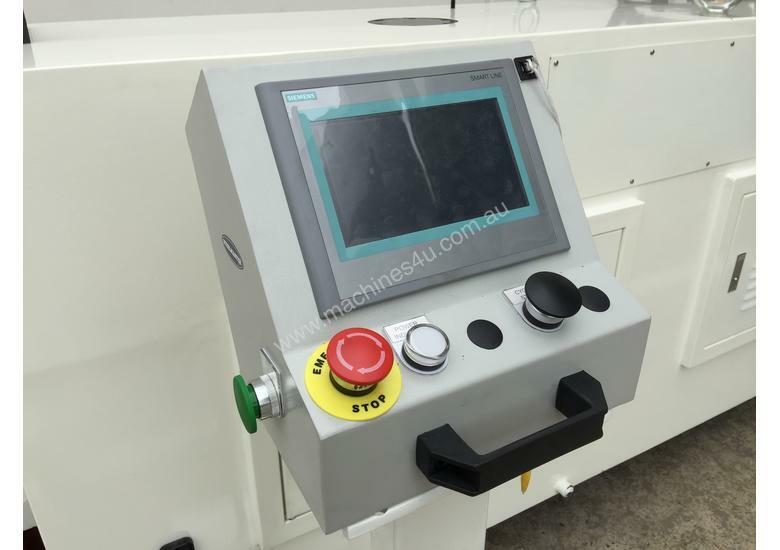 • 1 Dimensional PLC NC1 Programmable Controller. 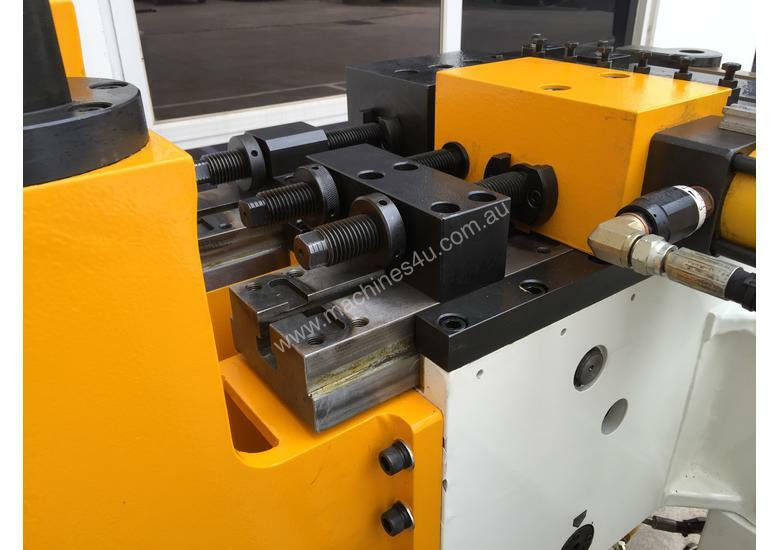 • Manual Length & Rotation Setting, NC Angle Bending. 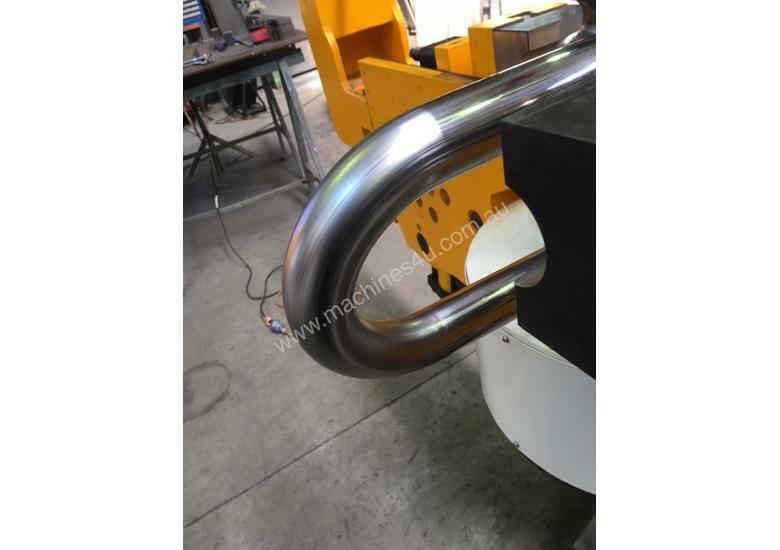 • Bending Angle Range: 0 ~ 190 Degrees.